What is Your Office Serving You? Spending more than 40 hours a week at work? Lots of the fluids you intake on a daily basis will be whatever is available to you in your office. So what are you putting in your body? And is it fueling you? Or draining you? The human body is made up of 65% water and the fluids we put into it (13 cups a day for men, 9 for women) make us run. So make time for things that are good for you! This means making time for coffee, making time for tea, or just getting your daily requirement via refreshing filtered water. And the health benefits are extensive! Coffee is loaded with anti-oxidants plus a safe energy boost, while tea has been found to reduce the risk of heart disease and cancer. Water alone has been tied to mood improvement and weight loss! 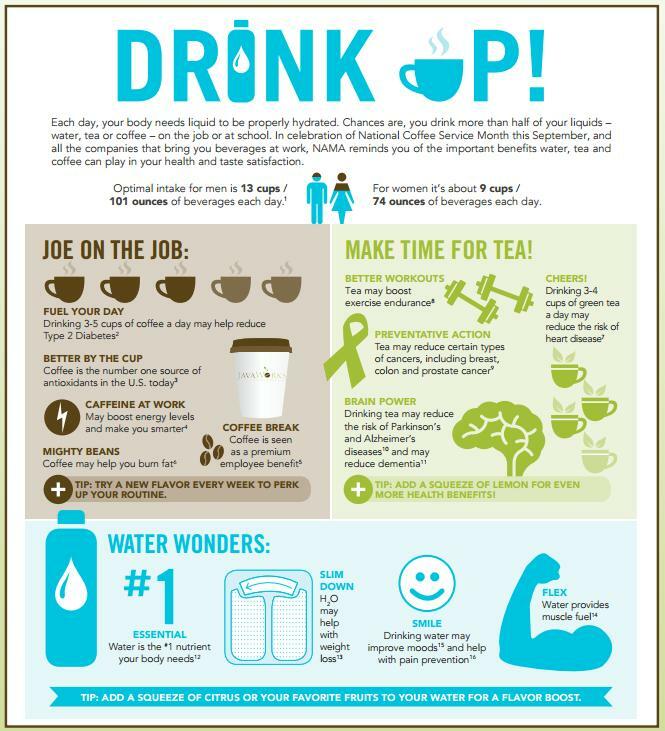 Javaworks Office Coffee and Water services offers a wide variety of premium coffee and tea brands with ever changing flavors including Starbucks, Reunion Island, and Wolfgang Puck. Not only that, all of our companies are single source, use renewable technology, and the packaging is made of 100% recyclable materials. That means healthy (and great tasting!) beverages for you and your body every day. Are these products available in your office? If not, perhaps they should be. Having something healthy to drink is an employee right, not a privilege.